This piece of writing started its life as a talk at an animal festival. 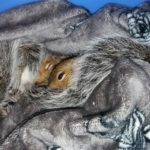 The brief to me from the organizers was myth-busting, and the Myth of the Evil Grey Squirrel can be formulated as follows: they are an invasive alien species, they replace the native red squirrel, destroy trees and reduce the bird population. These accusations do not usually survive an encounter with general knowledge on the subject. 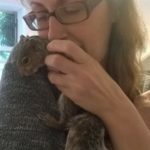 The argument is very often in the detail, and for these details I would like to refer you to one of the two excellent grey squirrel advocacy website that I am aware of: http://i-csrs.com/basic-information-about-squirrels and http://www.grey-squirrel.org.uk/index.php. What I would like to do here is give a general overview of the red squirrels, trees and birds issues,then dwell on the language that the myth is formulated in, and end with putting our attitude to the grey squirrel in the wider context of ethics, thus attempting to answer the question of why the myth takes hold in society. 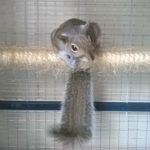 The first and the most serious accusation against grey squirrels is that they replace the native red squirrel. As with all myths, there is a small factual base, and a cloud of fiction around it. It is true that the grey squirrel is not native to this country (in the sense in which it is appropriate to talk of “native” on territory that was scraped clean by ice 10 000 years ago). They were introduced from America in the 19th century, at a time when it was fashionable to move animals between continents. It is also true that now there are between 2 and 3 million greys and between 150 and 200 thousand reds, quite a difference. But this is where the facts end. Red squirrels became rare to the point of extinction in England and Scotland in the 18th century, before the greys were ever introduced. Their numbers crashed due to habitat loss, deforestation, as a result of human activity. Some were then reintroduced, from Scandinavia, so that at least some red squirrels living in England today are not native to this country, but to Scandinavia. The numbers of the reds recovered when hazel coppicing was a widespread economic practice. In fact, the recovery of the reds coincided with the introduction and spread of the greys in the 19th and early 20th century. 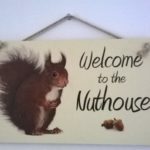 At that time the red squirrels did so well that they were considered the “pest” and persecuted and hunted in exactly the way the greys are today. However, when hazel coppicing stopped, the reds could not adapt to other habitats, and their numbers crashed again. The greys adapted and continue to adapt. The present difference in the numbers of reds and greys is easily accounted for by the fact that red squirrels need a very specific habitat, namely extensive pine forests, whereas greys can adapt to almost any environment: pine forests, deciduous forests, even our parks and gardens. So if both greys and reds are put in extensive pine forests, they coexist happily. The greys do not fight or kill the reds, they have been knows to share drays. However, if both greys and reds are put in a broadleaved forest, then, after 10 or 15 years, we will find that the greys flourish and the reds more or less disappear. But this would not be because the greys somehow push them out, but because we have put greys in a habitat that they are adapted for, and reds in a habitat that is unsuitable for them. It is a matter of correlation, rather than causation. The distinction between correlation and causation is worth elaborating on, and I am going to do it by using an example of a fictional research project. This fictional project has shown that people who wear shorts are more likely to buy ice-cream than people who wear trousers. The results can be interpreted as wearing shorts causing people to buy ice-cream (we can even postulate a mechanism of this causation: ice-cream melts, and if it drips on your bare legs, you can just wipe it off, but if it drips on your trousers, it stains…). Or we can choose a different line of interpretation and say that sunny weather causes people both to wear shorts and to buy ice-cream, so these two behaviours are not caused by each other, but only correlate, both being caused by another factor. In the real case of grey squirrels flourishing and red squirrels disappearing in deciduous forests it is also a case of correlation rather than causation, since, if the environment is suitable, red squirrel survive well, whether or not there are grey squirrels present. If any competition between reds and greys does exist, it is in areas where reds are artificially maintained (with breeding programmes, release cages, nest boxes, feeding stations – essentially a large zoo). If we set up a feeder where reds and greys live together, then the larger greys might shoo the smaller reds away, but in this case the greys are not in competition with the red squirrels themselves, but rather with the human agenda of artificially maintaining them in an unsuitable habitat, it is not the same thing. Another factor that is mentioned in this connection the the pox virus. It kill red squirrels (thought they are slowly developing immunity to it), whereas the more robust greys carry the virus without becoming ill themselves. This fact leads to the accusation that greys are killing reds with the pox virus. This accusation, however, does not take into account the actual process of disease transmission. In practice the reds do not get the pox from the greys, but from fellow reds. In the majority of areas where the disease first broke out at the beginning of the 20th century there were no grey squirrels at all. In fact, the artificial maintenance of red squirrel colonies in England is partly to blame: feeding stations cause a high concentration of animals in one place, which provides ideal conditions for the virus to spread. The dead bodies of red squirrels who died from the pox are found near feeders, not near borders of areas with a high grey population. It must also be stressed that the pox virus accounts for very few cases of the unnatural deaths of red squirrels: 2%, compared with 50% from road accidents. Now there is a new disease threatening red squirrels, namely leprosy. And the artificial maintenance of red squirrel colonies, feeding stations, are implicated in the spread of this disease as well. Fortunately for the greys, they have not been blamed for this one. The second accusation is that squirrels destroy trees. It seems utterly bizarre, since the very opposite is the case: squirrels are some of nature’s greatest conservationists, they regenerate forests. They cashe seeds and nuts, and actually eat the bad ones first, thus planting new trees. Numerous studies show that squirrels are essential for forest regeneration. The small factual basis for the myth is that squirrels, both reds and greys, feed on trees. They eat leaves, buds, twigs; they also strip some bark in order to get to the sap, the jelly, underneath. This, however, does not kill the vast majority of trees. It prunes some branches, it changes the look of the tree, but does not kill the tree. It is, of course, theoretically possible that in old fragile trees the bark stripping will make the tree vulnerable to disease and kill it. The tree would then fall down and become an important wildlife habitat in its own right, while squirrels plant new trees in its stead. It is the circle of life! Where squirrel chewing can cause a problem is in commercial forestry, hence the cloud of myth around the fact. But even here a sense of proportion is essential. Squirrel chewing causes cosmetic damage to trees destined for human consumption. And in the section of the industry that produces pulp, paper, construction timber, etc., it clearly does not matter. Even in the middle-range market – pine furniture, oak furniture, wooden floors – imperfections are seen as part of the natural charm of the wood. Where it does matter is in the luxury market, the kind of trees that are going to be harvested in 80 years time. But even then it is by no means every tree that is affected, we are talking about a fraction of a fraction of the industry. And I, for my part, hope that in 80 years’ time we will have a very different relationship with both squirrels and trees. The last accusation is that squirrel reduce the bird population. It is actually a quick one to deal with, because an extensive, government-funded study has been conducted and concluded that it is not the case. ‘Analyses of large-scale and extensive national monitoring data provides little underlying evidence for large-scale impacts of widespread avian predators and grey squirrels on avian prey population’ (Newson et al., 2009). It is true that squirrels are opportunistic feeders, and, if they come across an unattended nest, they might take an egg. But they are not predators, they will not deliberately seek out eggs or hunt chicks, and what they do is statistically negligible. Furthermore, the bark-stripping actually assists birds, because it encourages fungus-growth and it encourages insects, food for birds. A vocabulary analysis is essential to myth busting, since some concepts can appear neutral, but are in fact ideologically loaded, and we can unwittingly concede a lot of ground in a debate simply by committing ourselves to certain terminology. In the Myth of the Evil Grey Squirrel such loaded words are alien, invasive, and, perhaps surprisingly, species. As a culture, we are so enthralled by the “native good, alien bad” mantra, that we do not even stop to consider how completely irrational it is. It is purely a question of fashion. In the 19th century the fashion was the opposite, it was fashionable to collect plants and animals from all over the British Empire and to try to establish them on different continents. It was called acclimatization. Kew Gardens was a holding ground from plants from all over the empire. There was an acclimatization society for animals as well. Now the pendulum has swung in the opposite direction, and alien species are, as far as conventional conservation is concerned, public enemy number one. But no one seems to want to ask exactly why natives are good and aliens are bad. Fortunately, there are some notable exceptions to this tendency. The case of alien species has been brilliantly taken up by Fred Pearce in his book “The New Wild”, subtitle “Why invasive species will be nature’s salvation”, which offers an important alternative paradigm in conservation, an alternative to what the author calls “invasion biology” that demonizes alien species. Fred Pearce argues that the “native good, alien bad” approach is irrational. The vast majority of alien species do no harm whatsoever. Even in the rare cases where they do become a problem, such as the Nile perch in Lake Victoria, or the killer algae of the Mediterranean, it is man-made pollution that made the waters susceptible to the invasion, a healthy ecosystem would have fought off the newcomers in the first place. Furthermore, some alien species are in fact beneficial, they seem to be nature’s way of coping with the ecological problems we have created, they reboot the ecosystem, as it were, and can pave a way for natives to return. We may agree or disagree with this analysis, but in either case it is worth noting that the words alien and native are loaded, not neutral, terms. “Invasive” is another such term. It is a technical concept – to be considered invasive, a species has to be shown to have displaced others. 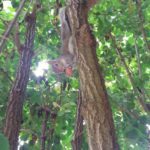 It is worth having that technical sense in mind, so that we do not simply succumb to the impression we get that our parks and gardens are full of, in this case, grey squirrels. Our impression that we see a lot of them does not it itself make them an invasive species. In order to be considered invasive it would have to be proved that they replace the red squirrels. I have, of course, done my best to deal with this issue already. But I would also like to emphasise again that it is not the case that if there were no grey squirrels around, our parks and gardens would fill up with reds. It is either greys or nothing, no diurnal wild mammals for us to observe in our cities at all. And, in my opinion, we should be grateful that at least somebody has learned to live with us in our ecological mess. The word “species” is also not as innocent as it appears either. The problem is that it has different applications in science and in ethics. In science it is a very precise term, everyone knows where a species begins and ends. It is necessary for it to be like that, so that scientists can study and communicate with each other. In ethics, however, species is a flexible term, it simply determines the correct level of generalization in a particular discussion. It was defined as such by the philosopher Porphyry in Late Antiquity, in his hugely influential “Isagogue”, introduction to Aristotle’s “Categories”. For him, species is a sliding term. We can say, for example, that animals are a genus and cats, dogs and horses are species within it. Or we can say that cats are a genus, and lions, tigers and domestic cats are species. Or we can say, if the discussion warrants it, that domestic cats are a genus, and the species within it are different breeds of domestic cats. This seems unusual and awkward, but it is actually very helpful in ethical discussions, because it allows us to keep hold of both equality and individuality. For instance, in a discussion about cancer screening, men, women and children are all different species with different needs, they are not equal. However, if we talk about access to medical care, they are all one species, they are equal. But if we talk about treating a person, then no level of generalization is appropriate at all, they should receive care as an individual. If, however, we keep the concept of species rigid in ethics, we run into all sorts of problems. Speciesism, for a start. Also we can forget that species is not an absolute given, but an intellectual tool (a very useful one, of course), for humanity to study the world they live in. It can be used in study, but not as justification for killing some animals in order to help others. Such justification would not be logical, because it takes the concept of species outside its legitimate sphere of application in philosophy. The associated concept of biodiversity is equally problematic. When I first read the animal ethicist’s Andrew Lindzey’s words that the concept of biodiversity is philosophically vacuous, I was a bit shocked. We are so accustomed to thinking of biodiversity as a supreme, absolute, obvious good. However, who ultimately decides how diverse is diverse enough? It is a human agenda. If human being promote biodiversity by benign means, it is fine. However, if they do it by killing some animals in order to help others, it is a lot more ethically questionable. It is interesting to look at why the Myth of the Evil Grey Squirrel takes hold in society, in spite of being intellectually untenable. It is, of course, impossible to come up with a definitive answer, but a few things do come to mind. Defra online materials place the onus for controlling (killing) grey squirrels firmly with the landowner. Who gets grants for it. So it appears to be another way of passing public money to the countryside, in response to powerful lobbying. The myth is needed as propaganda to justify this particular instance of institutional corruption. A follow-on question is why the public puts up with it. After all, if we stopped someone in the street and told them that there no money for hospitals, or schools, or benefits for the disabled, but there is plenty of money for people to kill squirrels, that person would not be happy, as a tax-payer, even if they did not care about animals. But the problem is, grants to kill squirrels are a small part in the budget as a whole. In comparison, for instance, with subsidies to farmers, an arrangement where huge amounts of public money go to relatively wealthy people to maintain their unprofitable lifestyle businesses. 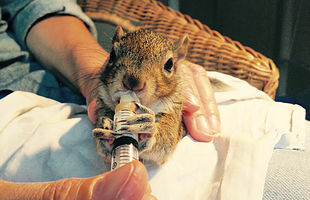 Another reason for people putting up with the expense and the cruelty is that they actually subscribe to the evil squirrel myth – not because they are intellectually persuaded by it, but because it agrees with their prejudices against the grey squirrel in daily life (squirrels raid the bird-feeders, dig up bulbs in the garden, etc.). As conflicts with wildlife go, this seems incredible trivial, and the solutions are easy. In the case of bird-feeders one can use a separate feeder for squirrels, or buy a good squirrel-proof one for the birds. For bulbs, cayenne pepper, or commercial deterrents, can be used to deter furry guerrilla-gardeners. But the will to find a solution very often is not there. This happens because of a certain mind-set in relation to non-human animals in general. This mind-set dictates that human interests, however trivial, will always trump non-human ones, even if the human interests in question are replaceable ones, and the non-human vital. In other words, if an animal interferes with as much as a hobby, it is OK to kill the animal. In philosophical language, this mind-set does not acknowledge any intrinsic moral status of non-human animals. However much we despair when we come face-to-face with this attitude, it is encouraging to remember that it is shifting in favour of non-human animals. It is precisely in the social aspect of ethics (which determines whom we consider ourselves to have moral obligations to) that historical progress can be discerned, if it can be discerned at all. 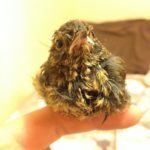 Rescue efforts, advocacy, public campaigns all serve to bring about this social change, and there is no doubt that, both legally and practically, animal welfare has moved on a lot in the last 20 or 30 years. Although, obviously, there is still a staggeringly long way to go, witness the case of the grey squirrel.